In this article, we'll explain how you can configure your mail account in Outlook Express Comcast. If you have an email account and Comcast want to configure your Outlook Express, here's your free Outlook Express support guide. 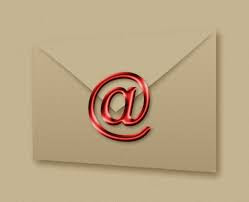 It will help you quickly and easily create your Comcast email in Outlook Express. Select the Tools tab and go to accounts. When the Accounts dialog box, you will see other email profiles (if any) mentioned therein. Once you create a new account Comcast email, you have to start by clicking the Add button and select Mail. You see the Wizard dialog box Internet connection. Start by entering your name as a Comcast email user. You can type the full name or a name that is registered with your Comcast email service. Press the Next button after entering your name. Type your full email address in the Comcast email address field. Make sure you enter the email properly to avoid facing email configuration errors without success. Type 'mail.comcast.net "(without quotes and as is) in the Server box and enter" smtp.comcast.net "in the SMTP server box to exit. When finished, press the Next button. Enter your username and Comcast password in the respective fields. Click to select the Password box in Forgot your password to avoid entering every time you access your Comcast e-mail in Outlook Express. When finished, press the Next button. Press Finish to close the wizard dialog box Internet connection. You'll also see your email address Comcast he listed. Click to select Comcast email and click the Properties button (right). You will be in the Properties window of your Comcast email account. Select the Servers tab and check the My server requires authentication box under Outgoing Mail Server (bottom of screen). Click the Settings button. Check the "Use same settings as my incoming mail server", then press the OK button to exit the Settings dialog box. Now enter "587" as the port number of the outgoing server in the Outgoing Mail box (SMTP), and check the box under This server requires a secure connection (SSL). Now type a "110" or "995" on the server (POP3) Incoming mail box and check the box under This server requires a secure connection (SSL). Select Leave a copy of messages on server box if you want a copy of your messages on your Comcast server. Close Outlook Express and also reopen. Choose your Comcast email if there are several ones and press the Send button or receive to start downloading your Comcast email.